This guide is a starting point for learning about the Duke family, their role in the founding of Duke University, and their papers and collections housed at the David M. Rubenstein Rare Book & Manuscript Library. This guide is designed to introduce researchers to resources on the Duke family, but is not intended to be a comprehensive bibliography. The information in this guide has been arranged into six sections. Please use the tabs above to navigate to each section. Secondary Sources: Books, pamphlets, and articles about Duke family members, their business interests, and their philanthropy. For Genealogists: A bibliography of secondary sources on Duke family genealogy. Note that many of the collections listed in the "Duke Family Manuscript Collections" tab also contain genealogical information. Duke Family Manuscript Collections: This section describes collections of the papers of Duke family members given to the David M. Rubenstein Rare Book & Manuscript Library at Duke University. These collections typically include personal and business correspondence, financial materials, photographs, and estate and genealogical materials. 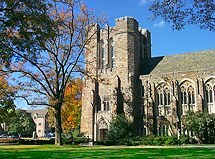 Related Manuscript Collections: Resources for learning more about the history of the Duke family involvement in Trinity College and the founding of Duke University, and the Dukes' business associates. Doris Duke Charitable Foundation Historical Archives: James B. Duke's only daughter, Doris Duke, continued the philanthropic mission of the Duke family with her charitable foundations. This section describes the manuscript collections--documenting Doris Duke's life and philanthropic activities--transferred to Duke University in 2009. After reviewing this guide, please contact a Rubenstein Library staff member if you need further assistance in locating additional resources. The materials described in this guide may be used in the Rubenstein Library's reading room on the 3rd floor of Perkins Library. Materials should be requested at least two weekdays before your research visit. Clicking on these subject headings will search the entire Duke Libraries catalog. To narrow the list of results to materials located in the Rubenstein Library, select "Rubenstein Library" under the Location menu on the lefthand side of the page. 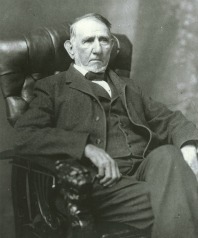 Duke, Benjamin N. (Benjamin Newton), 1855-1929. Durham County (N.C.) -- History.